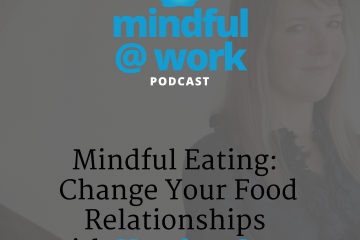 Welcome to the Mindful @ Work podcast. I’m your host Vanessa, Pagan, and I’m also the founder of DistroMonk which is a mindful meditation program builds specifically for remote teams, and I wanted to do a short introduction to what this podcast series is about what you’ll learn and the kinds of topic we’re going to cover, but before I get to that. I want to discuss just the idea of what mindfulness means. And then we’ll talk about what it means at work because I think of mindfulness, and I think of being up in the Himalayas secluded in a Monastery without any internet without my laptop without my Slack Channel open and being separated makes it easy to have space. The space to observe. The space to be compassionate and find the words to how we’re feeling. To find the words that observe the patterns that we see repeating. When we take that space and we separate ourselves beyond just the out of office notification and Omutlook. We have the ability to see things with greater clarity in a way we don’t get once we get back into the office and we have our first Monday morning weekly standup meeting or a first one on one with the direct report. This idea of space is something that mindfulness gives us on a day-to-day basis, and I really would like to approach the idea that mindfulness is something that we can have in our life as it is with the richness of all of the technology, the innovation the future that has been built upon this ageless concept of mindfulness. So what is mindfulness? My personal definition that I use is the ability to be aware in the present moment without judgment. The ability to be in the present moment or get to the present moment. The awareness of observing it and the compassion to accept what you’re seeing. This concept can apply in many many different areas so we can have mindfulness be something that we apply to our personal relationships. We can have mindfulness in the reflection to see how we grow as individuals. How we grow as wonderful human beings. We can use this definition of mindfulness as how we want to be active in our community. 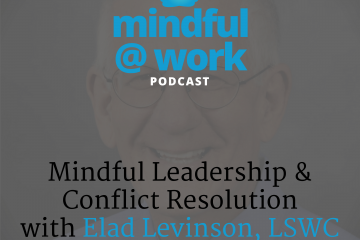 And more specifically in this interview series, it’s the question of how can we be mindful and intentional in the work that we’re doing in the businesses that we’re creating and in the organizations that we’re leading. 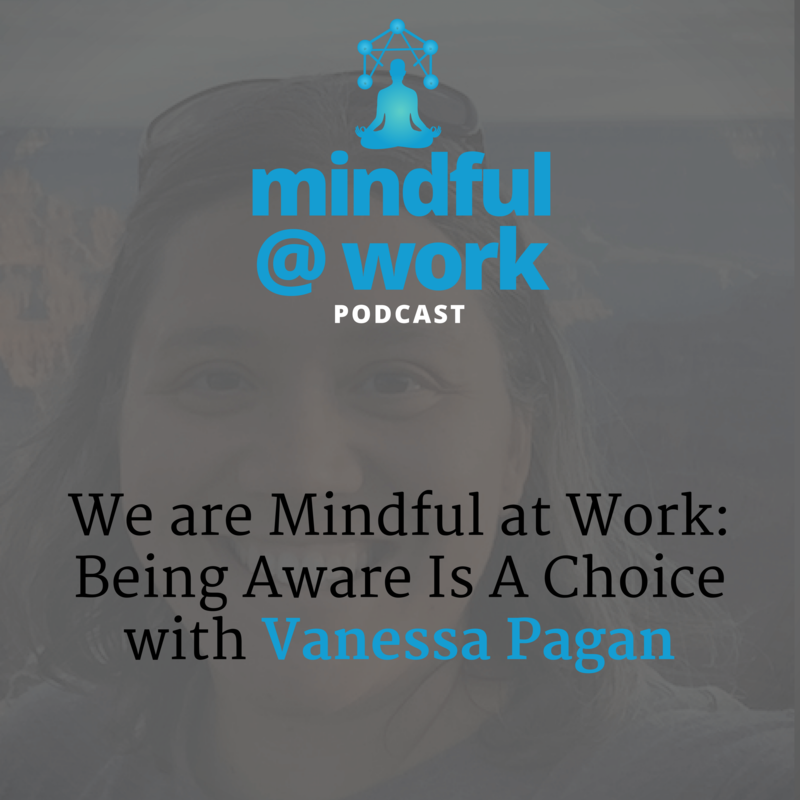 Mindfulness at work is something I wanted to cover specifically because we spend more time at work then we do with our spouses or our family. I think the only thing we might do more than be at work is sleep, as a biological need every person has. So the idea that we can apply this concept of mindfulness to something that we’re doing on such a large frequency our work , the organizations that were building, the people that were managing, the products that were building means that we can be more intentional about the world that we’re creating and how it interacts with us. We can be more intentional and set the example for how we want to be with other people that could affect how we manage and coach our teams. How we speak to our customers our clients our audience. It affects how we speak to our investors and our stakeholders. So join me in this series as I am lining up a bunch of interviews with leading experts in mindfulness, and there are so many facets to this concept of mindfulness other words that people use to describe mindfulness I’ve also going to include them in this umbrella. And those words are things like awareness. To have an awareness of something to see it for fresh eyes or with new eyes. Another concept that is similar to mindfulness that I’m going to absorb into this umbrella is the idea of conscious leadership or conscious business the idea that we are no longer on autopilot that we have turned off the cruise control, and we are making decisions for our companies for our team for our direct reports in a way, that is on purpose. So I hope every episode can bring you a nugget, not only of expertise or academic research or timeless truths that have a new application to your personal life but something that you can practice. Something that you can incorporate. Mindfulness doesn’t have to be a 10-day trip out to the Himalayas. It doesn’t have to be a five-day silent Retreat somewhere in the Appalachian Mountains of the US. It doesn’t have to be this separate compartmentalize version of mindfulness training. You can become mindful with every moment you’re awake. I’m awake a lot of moments actually there is science that can that I could include here that will list out how many moments we have in every day that we’re not just living, but that we’re conscious of passing. The moment-to-moment opportunity and in mindfulness at work I hope it’s something that you can have at 9:01. I hope it’s something you could have at 2:04. That you can have a late Friday afternoon. Something that you can have on a weeknight. Early morning. Weekend. Every moment gives you another opportunity another chance to be aware to be mindful to be intentional on what you’re doing why you’re doing it and the ability to change if you so desire. And the way that you explain to people who you are and what you’re about is by what you choose to live. There’s the idea of intellectual knowledge there are things that we all know. Well. I know this to be true, but what people believe what people absorb as the nonverbal truth are your actions. Are how you treat others or how you take a perspective that’s not reactive or all about yourself. Your greatness is shown by how you choose every moment. So thank you for joining me in this journey that we’re all taking together on this podcast. I hope you find the interviews riveting, informative. Maybe a little funny. I am personally much more of a geek or a nerd. I will not be telling any jokes, but I will be offering a space to guests who would like to share their knowledge and their experience and their day-to-day life of how they apply mindfulness and how we could all be better people. Better people at work, but are people in our home life, better people in our community because how we act at work we bring that same person home. The mind busyness that you have in the workday, how many people can turn that off and be fresh and bright when they get home and are met with all of the family environment, people, responsibilities? As much as we might try to compartmentalize our feelings. Compartmentalize the emotions of the day-to-day that we’re going through. Compartmentalize the stress and anxiety that we feel they seep into the next part of our day because we are whole individuals. We are whole beings and without approaching from that sense of wholeness, we’re missing out. We’re missing out on the opportunity to be intentional about who we are. Regardless of what our day brings. Regardless of who we’re dealing with at work regardless of our relationship at home. Wherever you go there you are. I’m the same person in the standup meeting as I am on date night. And I hope you are too or would like to become one. So this is the introduction to this wonderful podcast that I hope that we have a wonderful listener relationship. I like to think sometimes that being mindful is such an intellectual or abstract concept. I remind you that we all chop wood and carry water but maybe for us it’s more like slack channel and text message.